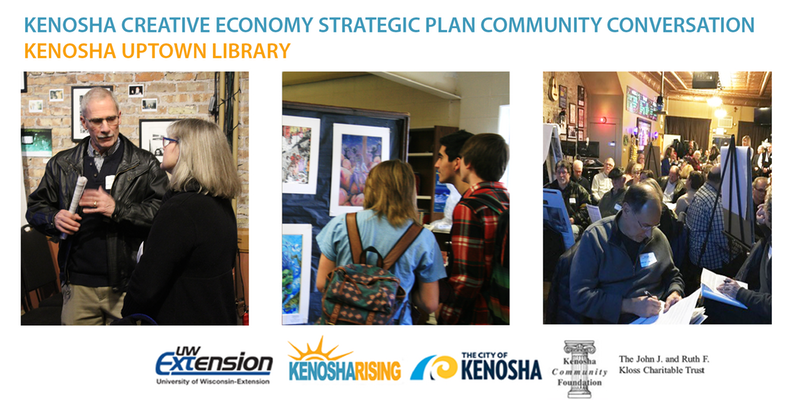 The City of Kenosha Commission on the Arts and its Kenosha Creative Economy Strategic Plan Steering Committee are pleased to invite you to their Community Conversation on March 7, 2017, hosted by the Kenosha Uptown Library. Doors will open at 6:30 pm sharply and the program will commence at 6:45 pm. 4. Quality networking with cultural producers, creatives, influencers and supporters alike. 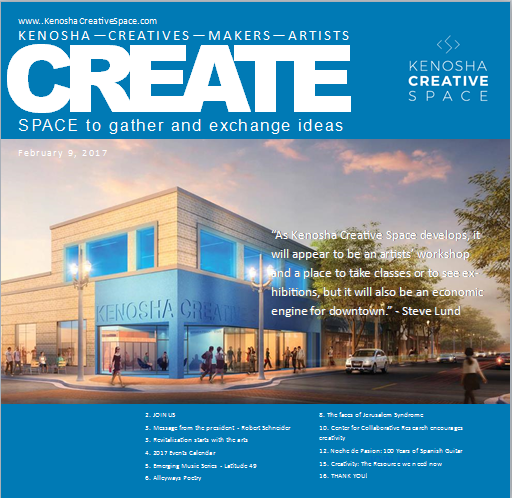 Want to learn more about the Kenosha Creative Economy Strategic Planning Process? Check-out our website at www.kenosharising.com. There will be street parking available as well as a parking lot on the Northeast side of the library.